Mushroom is a great source of nutrients that are cultivated from many years ago. Mushrooms have low calories, no cholesterol, no fat, no gluten, and it is low in sodium. In addition, mushrooms have vitamin D, niacin, riboflavin, potassium, selenium, etc. According to a research in 2019 released in the Journal of Nutrition, mushrooms contribute to the healthy diet and it provides important nutrients for health. If you want to have a healthy diet, you should have mushrooms every week. In this article, VKool.com will show you top 13 health benefits of mushrooms and hope that you will add mushrooms more in your diets. Mushrooms have lean proteins, free-fat, free cholesterol, and low in carbohydrates. Mushrooms also have enzymes and fiber that can reduce cholesterol levels and balance the good and bad cholesterol level in the body. There are a lot of healthy recipes that you can try with mushrooms and you can try to eat every week. Mushrooms not only help you lower bad cholesterol, but it also helps you prevent other diseases such as stroke, heart attack, atherosclerosis, etc. If you get anemia, your blood will be lower in iron and it causes headaches, fatigue, and digestive problems. Treating anemia by foods, including mushrooms, is also a safe way for your health. Mushrooms are rich in iron that can be absorbed by the body and it can promote the red blood cells formation as well as keep your body healthy and potential. This condition is also a very common disease in US and it affects about 3.5 million people in the America. 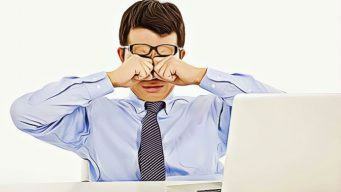 Whenever getting this disease, you will feel tired, fatigued, pale, have short of breath, and have some heart problems. Along with proper healthy diets, you should reduce stress, relax, meditate, and avoid eating foods such s fast foods, processed foods, caffeine, etc. Breast cancer is a very common kind of disease in women worldwide. About 16% of female have this cancer and it caused the death for the patients. Breast cancer has the high rate in nations and there are a lot of reasons that lead to breast cancer including foods. As a report from National Cancer Institute, there are 2,240 male breast cancers and 232,340 female breast cancers in the USA every year and it causes 39,620 deaths for breast cancer patients. Linoleic acid in mushrooms can reduce the increased estrogen and prevent breast cancer effectively. As the result, you should have mushrooms in your weekly diet. Treating diabetes is one of the benefits of mushrooms due to fat-free, cholesterol-free, and low in carbohydrates. Mushrooms are also great in protein, minerals, and vitamins as well as fiber and water. Additionally, mushrooms contain enzymes, insulin that can break down the starch and sugar in food. Mushrooms can promote the functions of the liver, endocrine glands, and pancreas and encourage the insulin formation. Diabetic patients easily get infections, especially in the limbs and it can last for a long time. Mushrooms have natural antibiotics that can protect your body from diabetes, so you should add this ingredient into your diet. As mentioned above, mushrooms include calcium, which is very necessary for bone development. Supplying enough calcium can reduce the risks of osteoporosis and it can lower the risk of joint pain, and bone diseases. Also, you should eat calcium-rich foods such as more cheese, yogurt, milk, sardines, dark leafy greens, cereals, orange juice, soybeans, soy milk, grains, waffles, etc. Furthermore, you should do exercise every day to build up your muscle as well as strengthen your bone naturally. Do you want to discover more benefits of mushrooms? Keep reading the writing and I will show you more. Ergothioneine in mushrooms is very vital for protecting your body from free radicals and improve the immune system. The great antioxidants in mushrooms can boost the system health and reduce the free radicals, which is very dangerous for the body. Eating mushrooms is also a natural way to fight off or prevent the weakness in the body. Not only necessary for the immune system, ergothioneine is a great element for health. Moreover, mushrooms include natural antibiotics like penicillin that can cancel fungal infections and microbial growth. Why should we use mushrooms every week? Because, this ingredient is good in vitamin A, B, and C.
High blood pressure or hypertension can increase the risk of dementia, kidney disease, heart failure, and heart attack. There are more than 5 million people having high blood pressure in England. So the advice for the adults with high blood pressure is to check the blood pressure regularly and eating healthy foods is the key to treating this problem. Potassium in mushrooms can relax the tension in the blood vessels and reduce the blood pressure very well. High blood pressure is connective with serious conditions such as strokes and heart attacks as well as the cognitive function. Obviously, treating high blood pressure is one of the best benefits of mushrooms you can get for your own. Losing weight is always a difficult process for obese people. There are many fat loss programs on the market today, but the combination of healthy diets with proper exercises is the great choice for you. Eating lean protein foods like mushrooms is a perfect way to reduce weight. It is very excellent that mushrooms have no cholesterol, no fat and it is great in fiber that can eliminate fat naturally. In daily diets, you should not eat a lot of meat, instead, you should take advantage of fish, lean meat like mushrooms. You can add mushrooms in soups, combine with chicken, vegetables, green bean, and etc. Do you know that eating good foods can beautify your nails and hair? Mushroom is one of the best vegetables for your beauty and it can stimulate metabolism. Selenium in mushrooms can protect your skin and improve elasticity very well. Polysaccharide in mushrooms can keep your skin hydrated and it can reduce fine lines, wrinkles as well as make the skin look supple and smooth. Mushrooms include antioxidants and compounds that can fight inflammation to treat acne, rosacea, and eczema. Moreover, mushrooms have kojic acid that is used in skin lightener and you should eat mushrooms to take the effectiveness of this ingredient to beautify your skin. Like every part of the body, your hair should get enough nutrients for its health and deficiency of nutrients can lead to some hair problems like hair loss and dry hair. Mushrooms can provide the significant level of water, copper, and selenium that are vital for your hair. Copper in mushroom can facilitate the iron absorption from the foods and it is connected to the melanin production. Mushrooms also have the great source of iron that can improve your health and strengthen your hair. Mushrooms are also great in water and it keeps your hair hydrated. You might visit our main page to get more useful information about Nutrition After reading the article about top 13 health benefits of mushrooms, I hope that you have got a lot of useful information to improve your health. If you have any question, please leave your comments below.